Facing Off is a weekly column debating five of hockey’s hottest topics each and every Monday. From current events like trades and hat tricks, to bigger-picture stuff like scandals and expansion — you name it, we’re debating it. Albeit, not always with a serious tone. We’re keeping this column light, so keep that in mind when reading, and feel free to join in on the fun by leaving a comment. All season long, Facing Off has been a team effort. What started as a two-man venture back in August, morphed into so much more when the puck dropped in October. By mid-November, we had introduced a Third Man In segment, with guests giving their two cents on the opinions of our regular contributors — Dan Mount, Félix Sicard, Andrew Forbes and Sebastian Hedley-Noble in addition to yours truly. This column was my brainchild, but it wouldn’t have been possible without all these fantastic writers. So with the campaign coming to a close on the weekend, I wanted to incorporate as many of them as possible in this season-ending edition — though I promise to keep this parade shorter than the train of Oilers’ alumni at their Farewell Rexall Place celebration. What will happen first: An Edmonton Oilers playoff berth or the end of the Edmonton Oilers player introductions? That was a special night for Edmonton — I personally enjoyed every minute of it — and this is a special week for Facing Off as we hand out our first annual hardware and make some predictions for the upcoming playoffs. Not to worry, Facing Off will continue throughout the post-season and into the off-season with plenty of hot-button topics to debate. The NHL’s awards banquet isn’t until June, but with the regular season all wrapped up, now is as good a time as any to cast our ballots. I wanted to bring in some unbiased voters and managed to recruit the perfect pair in Blue Jackets beat writer Mark Scheig and fellow Columbus contributor Elaine Shircliff, who has been doing a bang-up job covering the inaugural NWHL season as well. They will be taking turns weighing in on the awards, but both will get their say on the playoff front. Let’s start with the Hart, that’s an easy one — Patrick Kane? Or not? Who are the other finalists? FISHER: Kane got my vote as soon as his point total reached triple-digits. He had to overcome a lot of adversity off the ice to start the season, plus adjust to completely new linemates and shake off another Stanley Cup hangover. None of that would have been easy for him, so for Kane to top 100 points, he absolutely deserves the Hart as league MVP. Kane also became the first American-born player to win the Art Ross Trophy as the league’s leading scorer, finishing with 106 points. The Hart Trophy discussion is going to be very interesting this year. Is Holtby this year's Price? Or does Kane's huge point lead carry it? My ballot would also include the names Sidney Crosby and Braden Holtby, in that order. Crosby ripped it up in 2016, outpointing everybody in the second half after an uncharacteristically slow start that had some suggesting Sid had ‘lost a step.’ I never doubted his ability to dominate and his disappointing first half is a distant memory now. Holtby is a candidate for much the same reason that Carey Price won last year’s Hart. Granted, Holtby hasn’t singlehandedly carried the Capitals the way Price did the Canadiens, but Holtby has been a model of consistency as evidenced by tying Martin Brodeur’s record for wins in a single season with 48 — accomplishing the feat in 12 fewer starts. 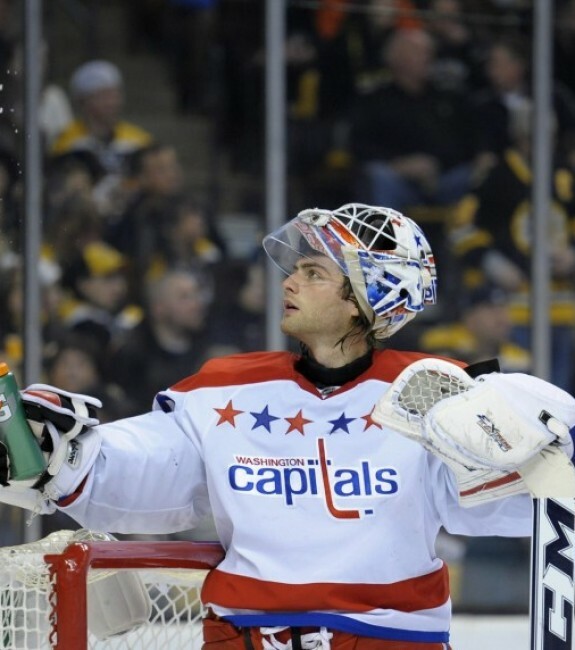 That makes Holtby the obvious choice for the Vezina as this season’s top goaltender. SHIRCLIFF: Hands down Kane. Since he and Jonathan Toews began playing together, it was always the two of them leading the pack for the team. They have been the dynamic duo for so long. However, this season Kane has proven to be a powerhouse on the ice. Artemi Panarin was the only player on the team who was even remotely close to catching up to Kane — 29 points is what separated them. The third-highest point producer on the team was Toews with 58 points — almost a 50-point differential. There is no doubt in my mind Kane is the deserving recipient of the Hart. There is one player who needs to be thrown into the discussion for the Hart, Jamie Benn. By the end of the season, he held the No. 2 spot in the league with 89 points (41 goals, 48 assists). He also led the Dallas Stars to a 50-23-9 record, which secured them the top spot in the Central. Someone provide me with a good reason why Joe Thornton should not win the Hart Trophy. ZEKE (covering the San Jose Sharks for THW since March 2015): Sorry folks, it is Jumbo Joe Thornton for the Hart and it is the easiest call there is. There’s a ton of history proving Thornton is great individually AND he makes everyone around him better. Joe Pavelski’s career-best season was tied for 20th in goals scored. He joined Thornton’s line three years ago and has been among the top-five goal-scorers every season since. Thornton deserved the Anne Sullivan Miracle Worker Award when Devin Setoguchi scored 31 goals on Jumbo’s wing. I bring up this history because the Hart is about the value a player brings to his team. Thornton’s valuable because he’s terrific AND he makes everyone around him better. So let’s look at this season. He’s fourth in the league in points. Figured I’d start with the weakest argument I’ve got. Better arguments abound. Put eyeballs on him, game after game, and you realize he is the difference-maker. Jumbo is tops in the NHL in 5-on-5 ‘goals for’ percentage at 71% (aka GF%). It’s been six years since a player finished with a better GF% in an 82-game season. Patrice Bergeron won Selkes at 67%. Per 60 minutes at 5-on-5 with Thornton on the ice, San Jose averages two goals more than its opponents. It’s twice Crosby and three times Kane. All three players score a bunch, but only Thornton genuinely dominates. Jumbo also happens to run the league’s No. 1 scoring power play with 62 goals. The Hart is about value to the team and there is one staggering stat which shows the Sharks are a different team because of Thornton. The Thornton line is a combined plus-66. The next nine Sharks forwards are a combined minus-56. Yup, the Thornton line is a mindboggling plus-122 better than the rest of San Jose’s forward lines. Thornton is one of the league’s top scorers. He has the top GF% and runs the most dominant line in hockey. He runs the league’s best power play and let’s face it, when his line is plus-122 compared to the rest of the team’s forwards, he’s carrying the team. Is there anything left to debate? The Calder debate is really going to be something — Artemi Panarin or Connor McDavid? Who’s the third finalist? Can Connor McDavid win the Calder Trophy as rookie of the year despite only suiting up for 55 per cent of Edmonton’s games? I don’t see why not, considering he was consistently the Oilers’ best player whenever he was in the lineup. FISHER: This is a tough one for me. I don’t think anybody can dispute that McDavid is this season’s best rookie, and had he played the entire campaign, he’d be the winner hands-down. 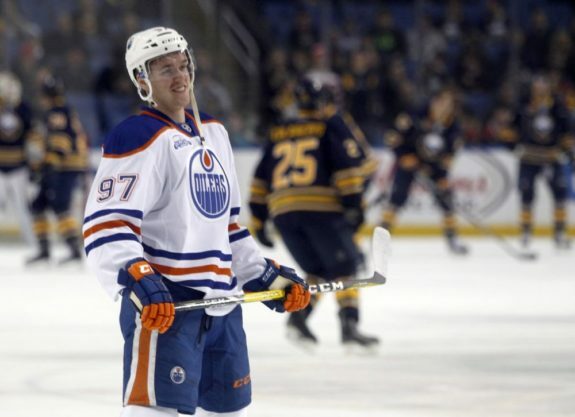 In the three full months that he’s been healthy and in Edmonton’s lineup, McDavid has won rookie-of-the-month honours each time (October, February and March). That is very telling, in my opinion. His point-per-game pace was third — behind only Kane and Benn, but ahead of Crosby and all the other stars — albeit in barely half the sample size because of a broken collarbone that sidelined McDavid for three months, limiting him to 45 games and 48 points. Enter Panarin, the undrafted 24-year-old Russian who took the league by storm as Kane’s linemate. Panarin is extremely talented in his own right, don’t get me wrong, but not quite on McDavid’s level and his stat-line might be inflated slightly by the company he keeps — whereas McDavid was inflating point totals for whoever flanked him. Panarin’s age is working against him as well, so as impressive as he’s been, my vote is going to McDavid. Shayne Gostisbehere would be my other runner-up, behind Panarin. He’s been a big reason — arguably the biggest reason — for the Flyers’ resurgence in making the playoffs. Gostisbehere is going to be among the defence scoring leaders for years to come and his coming-out party is worthy of Calder candidacy. I have him edging out Jack Eichel and John Gibson, as well as Max Domi and Dylan Larkin, for that third and final spot on the ballot among a stacked rookie class. Thought Connor McDavid should win the Calder, but with the way Artemi Panarin has finished you have to give it to him now. Panarin's Calder trophy will need an asterisk on it that says "Calder was won only because Connor McDavid didn't play enough games." SCHEIG: For me, this one is really easy. It’s Panarin and it’s not even that close. Yes, there are several great candidates to choose from. But what Panarin has done from the beginning of the season on has been most impressive to me. Most of the talk surrounding Panarin was the presence of Kane, and rightfully so. There are many who think that Kane is the reason why Panarin has enjoyed success early on. Have we considered the opposite though? I think we need to. Kane got better as well because of the presence of Panarin. Panarin gives the Blackhawks an extra way to attack you that teams must account for. This allows Kane and others to become even more dangerous than before. Oh, and not to mention Panarin has 30 goals in his first NHL season. Panarin has also helped Kane to a career season and a scoring title. He might be 24 already, but the Calder is not an age thing. Panarin wins hands down. McDavid is second, though it would have been curious to see his numbers in a full season. Third for me is Gostisbehere. He was the catalyst to the Flyers’ post-season run, almost out of nowhere. If I had a Calder vote… I'd be very tempted to give is to Shayne Gostisbehere. Those numbers for a rookie D are sensational. DAN MOUNT (Nashville Predators beat writer for THW and regular Facing Off contributor): How can you say McDavid when he didn’t even play most of the season? I’ll admit he’s been tearing it up as of late, but my vote goes to Gostisbehere. The Flyers were pretty much left for dead around Christmastime, but the “Ghost Bear” has singlehandedly changed the fortunes of this season. Philadelphia is now in the playoffs and can thank the Union College alum for that. Gostisbehere has five game-winning goals, including four in overtime — that’s tied for second (in OT goals) with Anze Kopitar of the Kings and just one behind Toews’ league-leading total. The #Flyers making the playoffs has to give Gostisbehere an edge in the Calder race. Team played completely different with him. The Flyers’ defence was once a question mark, but now looks like it could be solid for years with guys like Ivan Provorov coming into the fold soon. The Calder has to go to the Ghost because he’s made the most impact in his first season. This year will be just as hard as any to pick a Calder nominee because of talented people like Panarin, Larkin, Eichel, McDavid and more. However, Gostisbehere has to be the one that walks away with the prize for top rookie. The Norris could come down to — Erik Karlsson again, or Drew Doughty for the first time? Who’s the third finalist? Most total points (82) by a defenceman since 1995-96 (Brian Leetch had 85, but he was tied for 25th in league scoring whereas Karlsson tied for fourth). Most even-strength points (56) by a defenceman since Paul Coffey in 1985-86. First defenceman since Bobby Orr in 1975 to lead the league in assists (66). Second defenceman in NHL history to lead his team in points over three or more consecutive seasons. The other: Denis Potvin (NYI) over four consecutive seasons from 1973-74 to 1976-77. Rounding out my ballot, and again leaning toward the offensive side, I’d go with Brent Burns. He was a real force for San Jose and led all defencemen in goals, with 27 — that’s six more than Mark Giordano and Oliver Ekman-Larsson. The other usual suspects like Shea Weber, Ryan Suter and Kris Letang are also in the running again, but Roman Josi deserves recognition and even a younger guy like Tyson Barrie is close to joining that elite group. SHIRCLIFF: Larry, you literally took the words out of my mouth when it comes to who will win. Doughty should get the Norris, but we all know Karlsson will repeat this year. Which is a shame because Doughty is a phenomenal player who can play both ends of the ice well. The only thing going against Karlsson is the fact the Senators did not make it into the playoffs. For people who know me on a personal level, my pick for the third candidate for the Norris will not shock them. Dustin Byfuglien. He has always been a favorite of mine. I love the way he throws his body around on the ice, whether it be into opponents or in front of the puck. His willingness and ability to adapt to any situation is what makes him a joy to watch. How many of today’s players can effectively play both sides of the ice? Not many. Byfuglien only played in 66 games this season but managed to walk away with 43 points (16 goals, 27 assists). ANDREW FORBES (Toronto Maple Leafs beat writer and regular Facing Off contributor): I have to start by asking: When did this award become the trophy recognizing the best offensive defenceman? The Norris is supposed to be awarded to the best defenceman — period. Nowhere in the description does it say anything about offence. While I continue to be amazed by the skill that Karlsson possesses, I don’t agree that he’s the best defenceman. Look, we’ve seen the Ottawa captain win the award a couple time already — and that’s great. But it’s time to jump back to what this award was created for — players like Doughty. The poll results from the insider @TSNBobMcKenzie His Norris Trophy pick of 21 (coaches, GMs, HOFers) has Doughty 18, Karlsson 2, Letang 1. To me, Doughty is the clear winner of the Norris in 2015-16. He platoons the Kings’ blue-line and is a force at both ends of the ice. That’s been demonstrated by his numerous trips to the NHL playoffs, his Stanley Cup pedigree and the international experience he’s picked up over his career. He can hit. He can defend. He blocks shots. And he’s not so bad on the offensive end to add to that — with 51 points (14g-37a) in 82 games this season for Los Angeles. He’s a power-play quarterback and kills penalties as well. Doughty was consistently able to stay in the lineup (playing in all 82 games for the Kings) and ranks ninth among defencemen in scoring this season — tied with Weber, Suter and P.K. Subban. For me, this is about getting back to the fundamentals of the game and the award. Doughty opens up the playing surface for his teammates and does so by playing some old-time hockey. That’s why Doughty should be named the Norris winner for the first time in his career. Along with him and Karlsson, I’d like to see Burns and Josi up there. But I also think that John Klingberg in Dallas should get some recognition. Sure, he’s offensively skilled as well, but he also offers up some strong play in his own zone. Not to mention he was a rock on the Dallas blue-line this season starting right out of the gate. And the Jack Adams goes to . . . who’s your winner? Who are the finalists? 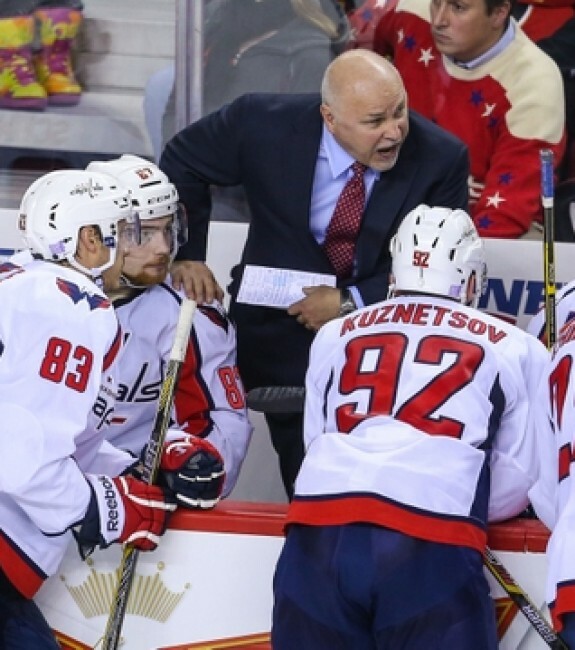 Barry Trotz has left little doubt that he was the right man for the Washington Capitals’ coaching vacancy a couple years back, but has he done enough to earn his first Jack Adams Award? FISHER: Oh boy, I have eight candidates in mind here and I somehow have to narrow it down to three, then pick just one. I don’t envy the actual voters for this award. I’m going to assume Barry Trotz is a lock for the ballot based on his work with Washington, running away with the Presidents’ Trophy and getting Alex Ovechkin to lead by example at both ends of the ice. I’m also going to assume Gerard Gallant will get his share of love for not only getting the Florida Panthers into the playoffs but getting them an Atlantic Division title. Dale Tallon, Roberto Luongo and Jaromir Jagr deserve some credit for Florida’s success as well, but Gallant got the most out of that collective group, so good on him. I’m down to my ballot’s final spot, yet I still have six names in mind and I haven’t been able to decide on a winner. Two of these six are rookie bench bosses who exceeded my expectations — Philadelphia’s Dave Hakstol and New Jersey’s John Hynes — while another took over a team mid-season. The latter being Mike Sullivan, who replaced Mike Johnston in Pittsburgh, turning the Penguins into the league’s hottest team down the stretch and pushing all the right buttons with Crosby and Phil Kessel, even Nick Bonino. Carolina’s Bill Peters made significant strides there in his sophomore season. Peter DeBoer did a bang-up job replacing Todd McLellan in San Jose. And last but not least, Bruce Boudreau really bounced back to get Anaheim into the contender conversation again after barely surviving the chopping block in the early stages. Boudreau’s roster was underachieving and he was at least partially to blame, so he’s probably on the outside looking in. Hynes squeezed water from a stone, but he’ll come up short as a result of missing the playoffs. Ditto for Peters. DeBoer came into a pretty good situation, with plenty of talent to work with. As did Sullivan, so I’m going with Hakstol as my third finalist — and how could you not, with the Flyers soaring into the post-season? As for my winner, after going round and round in circles, I’m voting for Trotz. I look at that Washington defence corps and tip my hat to Trotz. His Nashville teams were always strong on the blue-line and these Capitals are no different despite not having the big names. John Carlson missed a good chunk of injury time and they still got by with fill-ins. Trotz also helped Evgeny Kuznetsov and Andre Burakovsky become impact players, and his influence on Ovechkin cannot be understated. The Capitals kept their foot on the pedal and didn’t let up when they were leaving everybody in their dust, which reflects well on Trotz too. He’s as deserving as anybody, but you could make a solid case for most these coaches. Who gets your vote for the Jack Adams Award? SCHEIG: I can’t remember the last time there were this many good candidates to consider for the Jack Adams. In my mind, it comes down to who has done the best job with the talent they have, while taking their team further than anyone thought. With that in mind, Gallant is my Jack Adams winner. There was no scenario that ever crossed my mind that saw Florida winning the Atlantic Division, not with the likes of Tampa Bay, Detroit, Montreal and Boston all fighting hard for the division to start the season. Florida just kept winning thanks to their youngsters, led by Sasha Barkov, Jonathan Huberdeau, Vincent Trocheck and Nick Bjugstad. Jussi Jokinen chipped in 60 points, while the ageless-wonder Jagr continues to amaze us all. Couple that with the play of Aaron Ekblad on the blue-line and Luongo in net, and you have a team that could make a serious run in the Eastern Conference. Gallant deserves all the credit for having this team in position to go far in these playoffs. My other two finalists are Trotz and Hakstol. Many expected the Capitals to enjoy success, but to run away with the Presidents’ Trophy is impressive. Trotz deserves credit for that, and getting his defense to play at such a high level all season long, although much of that, in my mind, is the play of Holtby. And what Hakstol has done in Philadelphia to turn a sure lost season into a playoff birth is simply remarkable. He kept the team together in the rough times until Gostisbehere arrived on the scene and helped right the ship. But in the end, Gallant should win the Jack Adams. MATT PRYOR (Covering the Dallas Stars for THW since August 2015): This is my first appearance as Third Man In. Like a fourth-line call-up from Binghamton, I’m hoping to earn a permanent roster spot by being as abrasive as possible. If I’m going to get a game misconduct, I might as well earn it. The coach just tapped me on the shoulder, so over the boards I go: Larry and Mark, like the best NHL referees, are correct two-thirds of the time. The remaining one-third, though . . . wow. To paraphrase Jim Schoenfeld, have another donut, guys! I agree completely with the selection of Trotz as a finalist. When the Nashville Predators’ former bench boss was hired by Washington, I thought he was exactly the coach the Caps needed to move from playoff team to Cup contender. This year, Trotz (who should be played by Harvey Keitel in any future biopic) guided his club to the Presidents’ Trophy and into the record book as the first team since the 1976-77 Montreal Canadiens to go an entire season without back-to-back regulation losses. If that’s not Jack Adams-level accomplishment, I don’t know what is. I also agree Gallant (who should be played by Michael Chiklis in any future biopic) is a worthy finalist. In 2014-15, Gallant’s first season in Florida, the Panthers finished 10th in the Eastern Conference with 91 points — a record-setting 25-point improvement over the previous season. This year, the Cats overcame numerous injuries (only two players dressed for all 82 regular-season contests) to finish atop the Atlantic Division, setting franchise records for wins (47) and points (103) along the way. Tallon, the GM, did great work assembling the talent, but give plenty of credit to Gallant for getting the most out of both his youngsters and veterans. As I said, my colleagues were two-thirds correct. Where they both went horribly wrong, though, was in omitting from consideration the man most worthy of the 2015-16 Jack Adams Award, Lindy Ruff. The coach steered the Dallas Stars from 10th in the West last year to first in the conference this year, despite a 19th-ranked team goals-against average of 2.78. The Stars overcame their bloated GAA by scoring an average of 3.23 goals-per-game, best in the NHL by a mile. Early on, Ruff recognized his team’s potential to outscore opponents, rather than grinding them down in a defensive battle, and tailored his strategy accordingly. The Stars are a “high-event” team, generating and allowing more scoring chances than any other club in the league. Win or lose, their games are never dull. While pundits, general managers and the league itself lament the decline in scoring, the Stars are bringing back the ’80s. In the end, the NHL exists to entertain the masses, and Dallas, playing Ruff’s system, is the most entertaining team in the league. For combining achievement and entertainment value like no one else, Ruff deserves the Jack Adams Award. Time for some playoff predictions. Let’s go first-round winners and how many games each series will last? While we’re at it, who are your Stanley Cup finalists? Cup winner? Conn Smythe winner? I’m officially on the Capitals’ bandwagon — as mentioned in last week’s Facing Off — and that’s because I believe Braden Holtby can backstop Washington to its first Cup. FISHER: Prior to the season, I picked Anaheim to beat Tampa Bay in six games for the Cup. But both the Ducks and Lightning have been decimated by injuries and will be hobbling into the playoffs. Tampa is without Steven Stamkos, likely Anton Stralman and now possibly Tyler Johnson for the first round, so the Lightning will be hard-pressed just to see the second round. I think Anaheim will make a little noise, but I quite like the Kings to rule the Pacific Division this post-season. Something tells me that we’ll see another Chicago-Los Angeles showdown in the West final, with the Blackhawks advancing to defend their crown. In the East, it’s difficult to go against those Capitals in the Metropolitan Division, while the Panthers are suddenly looking like the best bet in the Atlantic. Do look out for the Islanders in that bracket, although the ‘be careful what you wish for’ karma could come back to bite them. Regardless, I like Washington to come out of the East to face Chicago, with the Capitals winning that franchise’s first Stanley Cup. That’s not overly bold, going with the best regular-season team, but I really think Washington is the team to beat this post-season. For that to come to fruition, Holtby would have to outduel some of the game’s best goaltenders, so he’d be my frontrunner for the Conn Smythe as playoff MVP. As for the first round, I’m going with Washington in 5, Rangers in 7, Florida in 5 and Detroit in 6 for the East; Dallas in 5, Chicago in 6, Anaheim in 7 and Los Angeles in 7 for the West. SCHEIG: I’m going to stick to my guns from the start of the season. I predicted a Cup final then of Ducks-Capitals and I’m not going to change that now — although it looked really bad for half the season, until the Ducks started playing their brand of hockey. If anyone can knock off Chicago, it’s one of the California teams. They have the talent to do it. It’s just a matter of execution. The Ducks came close last season. I think this is finally the year they get to the final. But ultimately this season belongs to Washington. In a bit of a down year for the Eastern Conference, I think the road to the final is clearly laid out for the Capitals. I expect them to beat the Flyers in the first round, and then in a very hard-fought second round, they oust the Penguins before taking down Florida in the conference final. In the Bruce Boudreau Final, I think Ovechkin gets the last laugh — not only by winning his first Cup, but by dominating and winning the Conn Smythe. Here are my first-round predictions: Washington in 5, Pittsburgh in 6, Florida in 7 and Tampa Bay in 6 for the East. Dallas in 6, Chicago in 6, Anaheim in 7 and Los Angeles in 7 for the West. SHIRCLIFF: Making predictions is one of my least favorite things to do in hockey. The craziest things always go down in the playoffs. For all we know, Tom Sestito could get called up, go on a scoring tear that helps the Penguins win the Stanley Cup, and then be named the Conn Smythe winner. Personally, I would love to see the Blackhawks repeat. It’s not often you get to see a team repeat in the NHL — it hasn’t happened since Detroit in 1997 and 1998. If Kane and Panarin play like they did this season, it is very possible. How about those Blue Jackets . . . are they a playoff team next season? What needs to happen for that to become a reality? Is John Tortorella the right coach to lead this group going forward? Are Sergei Bobrovsky’s injuries the biggest concern heading into the off-season? SCHEIG: Although I think the Blue Jackets will get better next season, that won’t mean playoffs. In my mind, there’s too many teams for them to leapfrog to get there. They certainly have some nice young pieces in place, but there are other areas that concern me that give me pause to them making the playoffs next season. If they are to make the playoffs next season, three things must happen. First, they can’t start 0-8 again. Obvious I know. But what’s concerning is that this team starts slow every year. They’re basically out of the playoffs before the race even began. They must start fast or else it could be another long season. Bobrovsky must get back to the level we are used to seeing him at. He has now had multiple groin injuries that have cost him numerous games over the last couple seasons. The emergence of Joonas Korpisalo should help some, but a healthy Bobrovsky is a must for any playoff hopes. Finally, they must score more. Adding Seth Jones is nice and important, but the hole left by Ryan Johansen is glaring. The Blue Jackets need to replace his offense somehow. That will take time, even if the lottery is favorable for them. Best-case scenario is landing the top pick and drafting Auston Matthews. But there’s still much more to do. If everything falls exactly right, they can fight for a wild-card spot. I just don’t see it though. I do believe, however, that John Tortorella is the right man to lead the Blue Jackets. He brings an element of accountability that was desperately lacking. Given that this team is very young for the most part and that Tortorella’s strength is teaching, this is a good match. The situation he is in is very similar to the one he had in Tampa Bay before they started having success. Development is key. If Tortorella can get the most out of these players, then they can hope for the playoffs very soon. SHIRCLIFF: I didn’t get to watch the Blue Jackets much this season, since I took on a larger role of covering the new women’s league. I also live near Akron/Cleveland, so most of the season the Jackets were trumped by the Cavaliers on the Ohio sports channel. Since we don’t have the alternative channel, I had to depend on the radio and Mark’s articles to get me through. Basically, my thoughts are going to be pretty short. The Blue Jackets are like the Cleveland Indians/Cavaliers of the NHL. They give you a glimpse of hope and then rip it away. Every time they seem to make headway, they take a few steps back. I’ve always been a fan of Tortorella. He has been great with the young guys (Wennberg, Karlsson, Korpisalo, Forsberg) and the kind of still young guys (Jenner, Atkinson, Saad). However, things just don’t seem to be working the best with the veterans. There are a few concerns going into the off-season. The biggest is the goalie situation. Bobrovsky’s groin is an issue. When Bobrovsky is healthy, he is a fantastic goalie. Note, I said, when he is healthy. It’s quite the opposite when he is battling an injury. Luckily, the Jackets have a few young guys who can step up to the plate and perform when needed. However, this brings up a great question. Do the Jackets keep Curtis McElhinney and let the young guys marinate for another year in the minors? Or do the Jackets let McElhinney go and bring up one of the young guys? If they bring one up, who is it going to be — Anton Forsberg or Joonas Korpisalo? I say keep working with McElhinney this coming year, let the young guys grow into their role in the minors, and pray to the Hockey Gods that Bobrovsky doesn’t injure his groin again. The possible expansion draft. Yes, if there is an expansion draft, it would not be this summer. It’s not too early to start thinking about how the expansion draft may or may not play out for the team. The Jackets are the kind of team who could get hit hard during the draft, especially if two teams enter the league. They have a lot of talent in the minors who are ready to come up and make a positive impact on the league. The question is, do you risk bringing up your young talent knowing you might lose them to another team next year? The final thing the Jackets need to address during the off-season is playing under pressure. They play like Stanley Cup champions when there is nothing at stake. The most enjoyable games of the season to watch tend to be after they have been mathematically eliminated from the playoffs. They need to figure out how to bring that intensity and discipline to games that matter the most. FISHER: I actually quite like Columbus as a sleeper in the Eastern Conference next season. Along with Buffalo, I think one of these two teams climb that mountain. The Blue Jackets obviously need a full Vezina-calibre season from Bobrovsky to make that a reality. He might not get as much work as in years past, with a much-improved defence corps and Korpisalo emerging as a capable backup. That defence, young as it might be, is the real bright spot. Jones, Ryan Murray and rookie Zach Werenski are tremendously talented, while Jack Johnson and David Savard are still in their prime too. Dalton Prout provides a bit of snarl and shutdown ability to round out that budding blue-line. I do agree that scoring, particularly from the forwards, is going to be hard to come by. Brandon Saad, Boone Jenner and Cam Atkinson are going to need repeat seasons, while captain Nick Foligno will need a bounce-back campaign, with help from fellow veterans Brandon Dubinsky and Scott Hartnell — if they are still in Columbus next season. Winning the draft lottery is easier said than done, but the Blue Jackets need their youngest forwards to continue developing with Alexander Wennberg, William Karlsson, Sonny Milano and Kerby Rychel becoming impact players next season. Columbus should get plenty of offence from the back end and that could help to balance things out. Problem is, I’m not sold on Torts taking this team to the promise land. Seeing the situation play out in Vancouver, I really feel as though the game is passing him by. Granted, both Tortorella and Mike Sullivan are rebounding nicely this season, I could see Torts enduring another fall from grace next season. He wouldn’t be my choice as Columbus’ long-term coach, but perhaps he’ll prove me wrong. I’d rather have Dan Bylsma behind my bench, so I’ll pick Buffalo to beat out Columbus for a surprising playoff berth in 2017.